Do you cringe at the thought of dealing with numbers, reading graphs or trying to make sense of statistics? You’re not alone – with research reflecting that many of us are visual learners who prefer to make sense of things through images, it’s no surprise there’s a growing need for people who can design and create media-rich platforms to communicate with different audiences. We’re talking about gamification, virtual realities and graphic experiences that connect everyday people with industries such as medicine, health care, architecture, archaeology and education. Do you have a background in media, ICT and more? The job market continues to seek candidates who not only demonstrate skills in media and ICT, but who also come from backgrounds like marketing, design, writing, performing arts, and business to transform data and research into creative campaigns that drive results. Curtin’s already on the back of this growing trend; offering undergrad and postgrad pathways to this style of career, and already producing some very talented creatives. On Friday 10 November we attended the VisMedia event at Curtin’s HIVE studio, where 40 students presented their data visualisation and interactive media projects to a number of industry judges and the Parliamentary Education Office. Projects were designed by students as part of a unit’s assignment; which required them to build engaging and interactive user-experiences that communicated data and information in an appealing way. They ranged from digital games, interactive narratives, virtual reality, augmented reality, child safety training, to virtual galleries. Professor. Dr. Artur Lugmayr from the School of Media, Culture and Creative Arts at Curtin, spoke confidently at the symposium about the importance of representing data visually to inspire activism. He said that sometimes the numbers and statistics are in fact, less important than the mode by which they are communicated. Information is only game-changing if it can first be interpreted and understood by a target audience. The Parliamentary Education Office also presented on open opportunities for student work experience and internships through government – highlighting their importance in securing graduate employment. Challenging the notion of a boring government job, guest speaker Peter Dooley painted a picture of a project where the department experienced a disconnect with children and young adults. Not until they changed up their strategy and invested in media and graphics, were they able to effectively communicate with a young audience who had no interest in big words and confusing numbers. 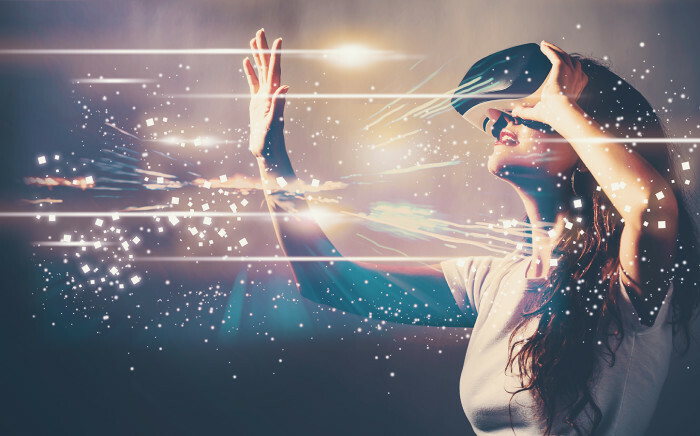 So, if you’re intrigued by a career in visual media and interactive communications, check out what they are doing down at the HIVE (Hub for Immersive Visualisation and eResearch). A gentle reminder that we’re still in Building 101 Curtin Connect until Thursday 14 December, and available if you need any Careers, Employment & Leadership support or advice before the festive season.